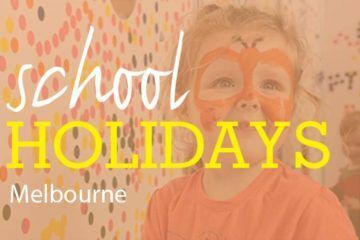 With the Easter school holidays almost upon us, we’ve hunted down the best kids activities to keep kiddos on their toes and out of your hair. 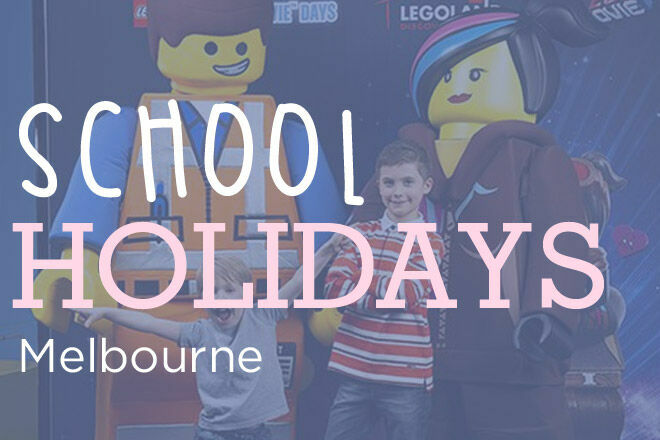 From outdoor expeditions and underwater adventures to indoor shows, events and workshops – here are our picks for families and kids these school holidays. Ready, set, ROAR!!! Over three incredible months, Zoos Victoria will be home to a few rather large pre-historic creatures. Dino-loving kiddos can get their kicks at each of the Melbourne locations. Get up close and personal with your favourite dinosaurs and watch them come to life as they take over the land. The roar-some creatures will be stomping into town from April 6 – July 14. 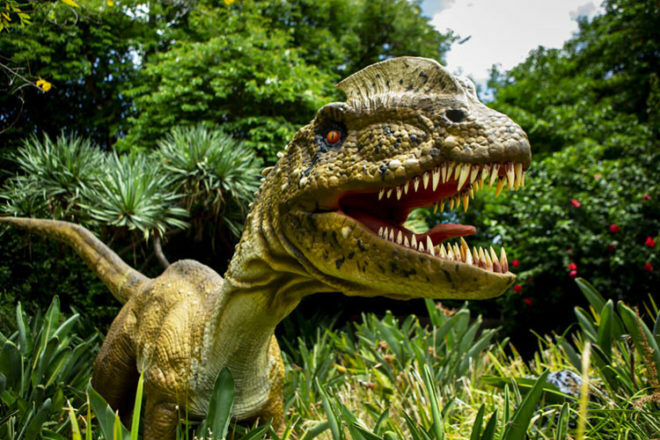 Experience Zoorassic at Werribee Open Range Zoo, Megabeasts at Healesville Sanctuary and Dino Park at Melbourne Zoo. Prices are included with entry, kids under 16 visit FREE on weekends and school holidays. Join Peppa and friends as they celebrate 15 years of muddy puddles at SEALIFE Melbourne. Everyone’s favourite pig will be plunging headfirst into fun with daily meet and greets and underwater activities. Dive into the experience with a Peppa Pig mask and a special edition activity book before making your way along the stunning seabed. 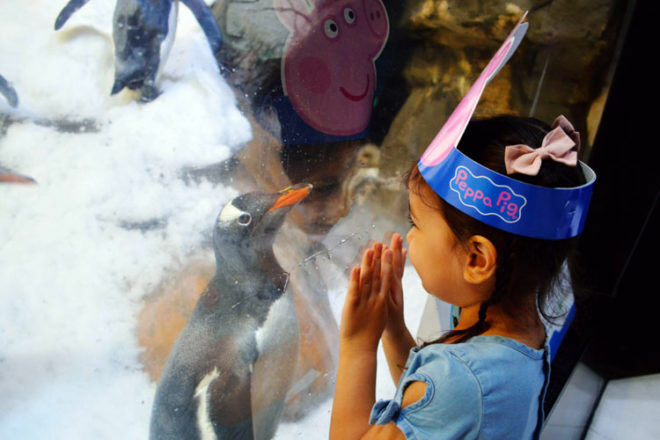 Peppa Pig’s Aquarium Adventures will be running all day from April 7 – April 21 at SEALIFE Melbourne. LEGO® Movie 2: The Second Part” these school holidays! 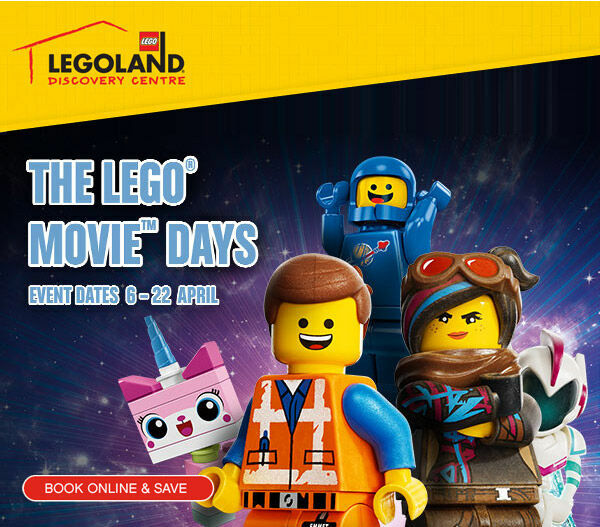 The heroes of Bricksburg reunite in an action-packed adventure at LEGOLAND Discovery Centre! Kids can try their luck at stop motion video making, building a Systar System and escaping aliens from outer space. 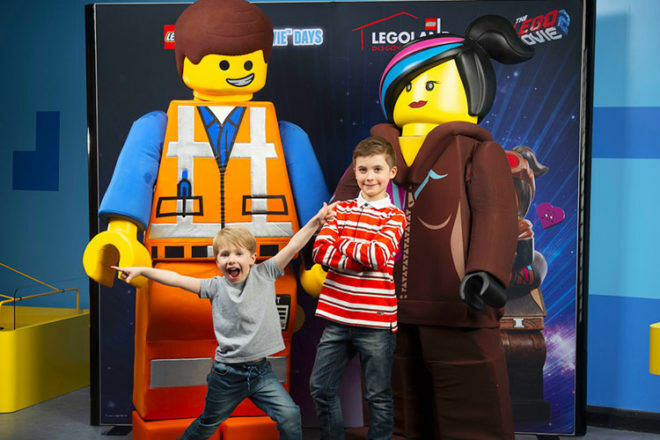 After all that adventuring, take a break from brick mania and say hello to Emmet and Wyldstyle from “The LEGO Movie 2″ – don’t forget your camera! Be sure to book online to guarantee your spot! Roll up the sleeves and grab an apron – it’s time to get baking! 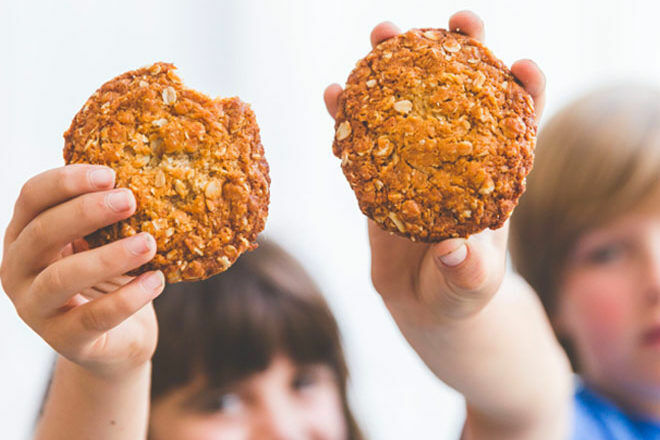 Nothing beats the smell of freshly baked gingerbread and these school holidays, Melbourne institution Phillippa’s is opening its doors to mini Masterchefs for its Bikkie Baking Workshops. Take your pick from Anzacs and Easter biscuits to gingerbread baking and decorating – you get to take the delicious goodies home too! Workshops are recommended for children 7 – 13 years. Tickets are $40 per child, spaces are limited so book early to secure your spot! 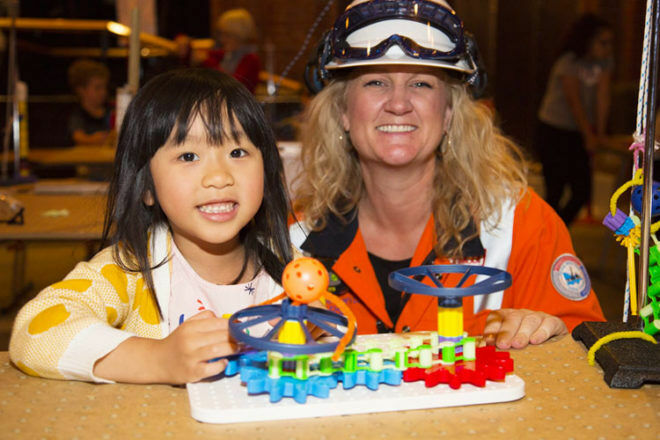 An engaging play space for in inquisitive minds is making its way to Scienceworks these school holidays. The Engineering Play Space offers something for everyone – tiny builders can tinker, create and build on a mini construction site while older kids have the chance to make their own machines using air pistons! The activities will be running all day from 11am-3pm with talks from industry experts at 1pm. Suitable for all ages. It’s a laugh a minute these at Luna Park these Melbourne school holidays with attractions galore! Settle in and try the thrilling new rides – Speedy Beethe, Moon Balloons and mini train Betty Choo Choo. 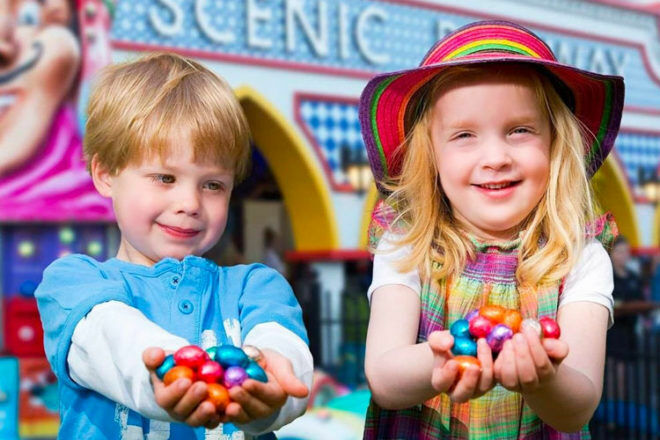 Catch your breath before scurrying for treasure as part of the The Great Luna Park Easter Egg Hunt. With more than 30,000 chocolate eggs to be found, young bunnies will certainly have their work cut out for them. Entry prices to Luna Park vary. Easter egg hunts will run from 12.30pm until 3.15pm and entry is FREE with an Unlimited Ride Ticket. 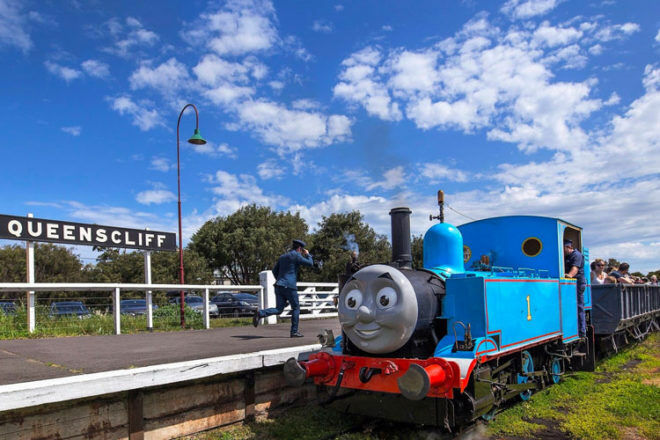 Hop skip and jump on board a train journey to remember at the Bellarine Railway these Melbourne school holidays. Thomas and friends roll into town on April 13 and April 14, bringing truckloads of fun along for the ride. Buckle up and enjoy jumping castles, a children’s maze and a 45-minute train ride with everyone’s favourite steam engine. Tickets for a Day Out with Thomas are on sale now and cost $25 each, $15 for toddlers (1-3) and FREE for babies 11 months and under. Libraries across Melbourne are giving kids keen for computers the chance to get behind the screen and into the tricky stuff. 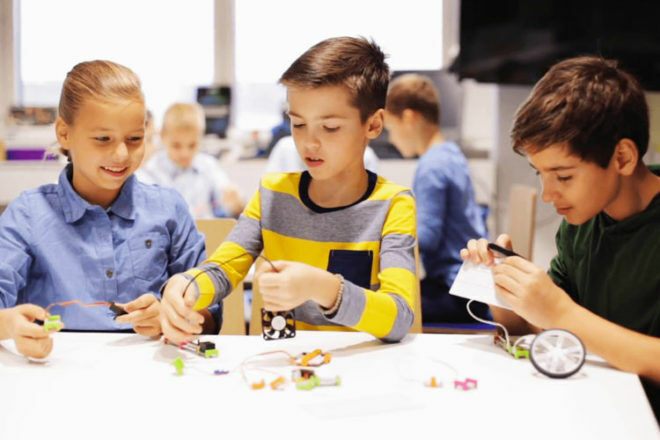 Learn all about coding at Kids Robotics & Coding. 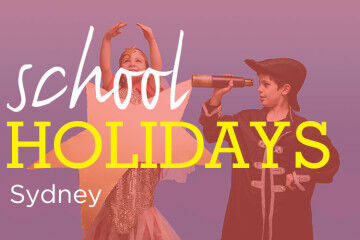 Here’s a Melbourne school holiday activity for older kids to throw themselves into. Swap sneakers for bowling shoes and get game ready! Strike Bowling is offering unlimited play for just $25 at its Melbourne Central location. 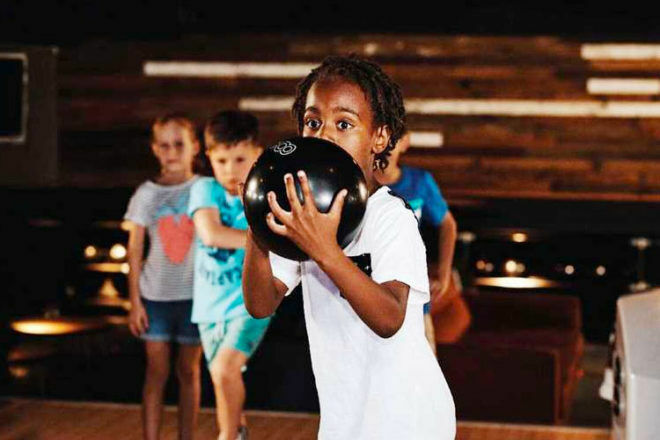 Kids can bowl to their heart’s content while parents sit back, relax and enjoy playing spectator. Offer is valid from April 6 to April 21, until 5pm every weekday during school holidays. 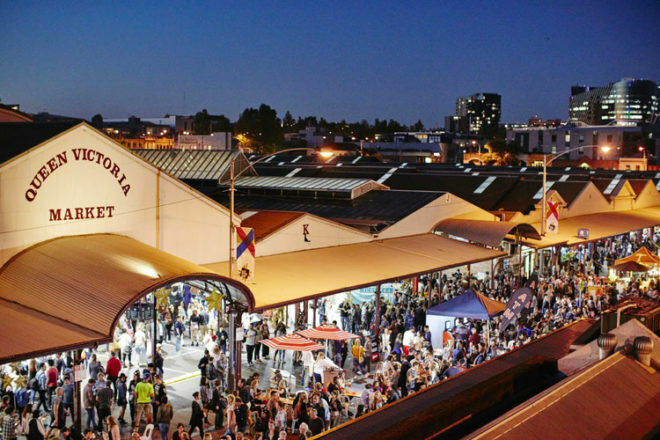 Throughout the year Queen Victoria Market plays host to a smorgasbord of events and delicious activities. This Autumn, Europa Night Market takes residency, guiding families on a scrumptious journey of Europe’s finest street food. Expect to see fare from Germany, Portugal, Ireland and Belgium, plus a silent disco and live entertainment to boot! The night market will run every Wednesday from April 10 – May 8, from 5-10pm. 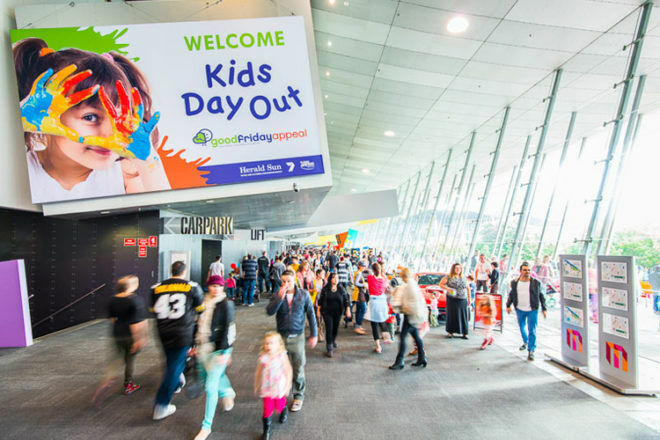 The Good Friday Appeal gets bigger and better every year and the 2019 Kids Day Out is no exception, bringing bucket loads of fun for the whole family. Head down to the Melbourne Convention and Exhibition Centre for a day crammed with awesome activities. Hit the ice at the Skating Wonderland, treat your tastebuds at the Fresh Food Market and bring your favourite teddy along for a check-up at the Teddy Bear Hospital. Entry is free, select activities are $3 – $10, with other amusements by gold coin donation. 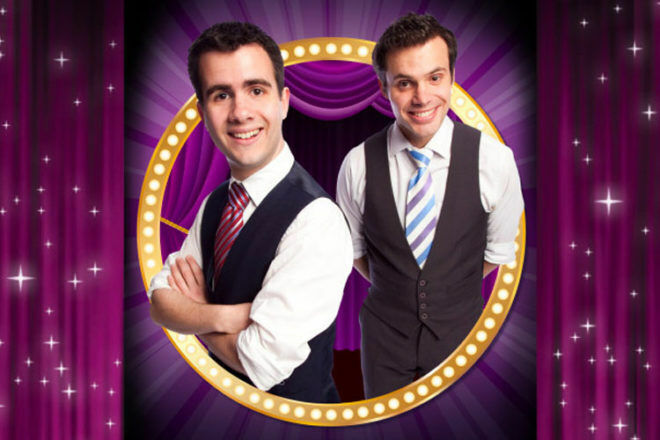 The Famous Spiegeltent welcomes Alex and Luke back for their fifth year of fun, magic and mischief. Make Your Parents Disappear will leave kids in hysterics as they question how did they do that? Performances start April 6 and run to April 22 at Arts Centre, Melbourne. Tickets start at $16. Take a day-trip to Geelong these school holidays and you’ll be transported back to pre-historic times. The incredible Silver Circus is back, and this year the jaw-dropping entertainment has reached mega new heights. Jurassic Unearthed is a FREE walk-through exhibition for dino-loving tykes to enjoy before the 90-minute circus spectacular beings. 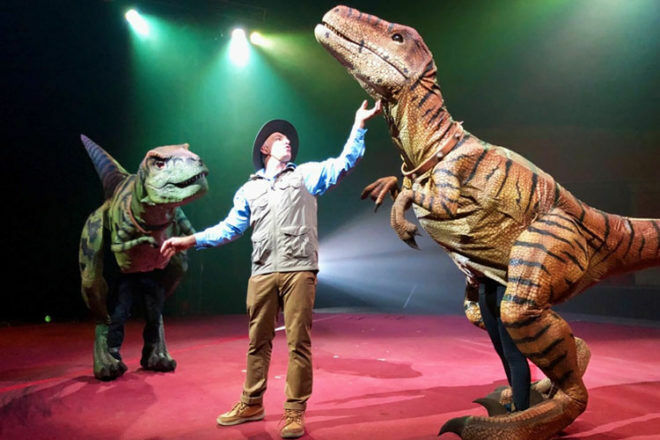 You’ll see all your favourite dinosaurs before sitting down to breathtaking acts such as Wheel of Steel and Globe of Death right before your very eyes. Silver Circus is running from 5th April – 5th May at Waurn Ponds. Entry for adults from $35 and entry for kids (3-12yrs) from $25. Check online for daily showtimes.